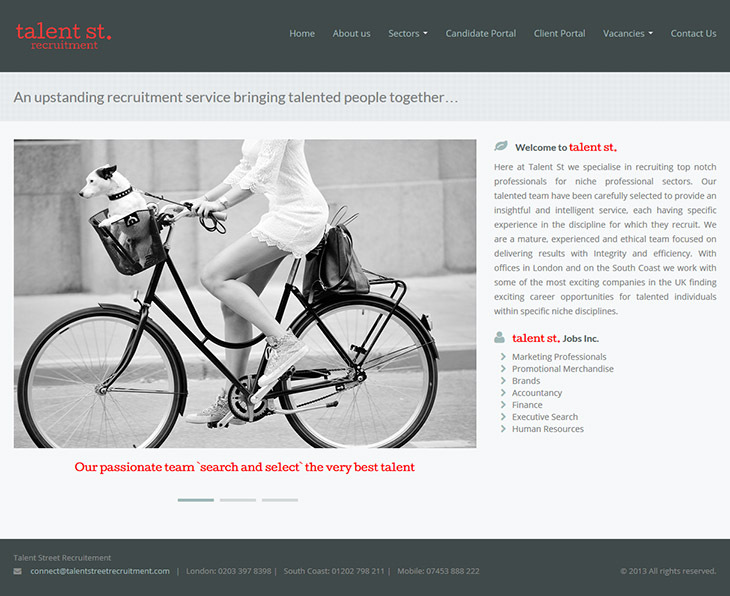 Talent Street Recruitment (TSR) is a recruitment agency in Bournemouth, Talent St specialise in recruiting top notch professionals for niche professional sectors. 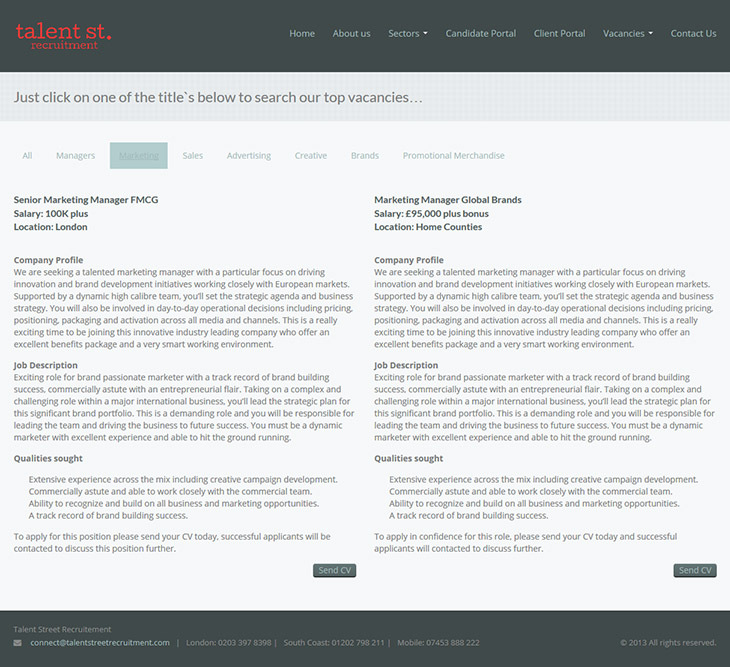 Their talented team have been carefully selected to provide an insightful and intelligent service, each having specific experience in the discipline for which they recruit. They are a mature, experienced and ethical team focused on delivering results with Integrity and efficiency. 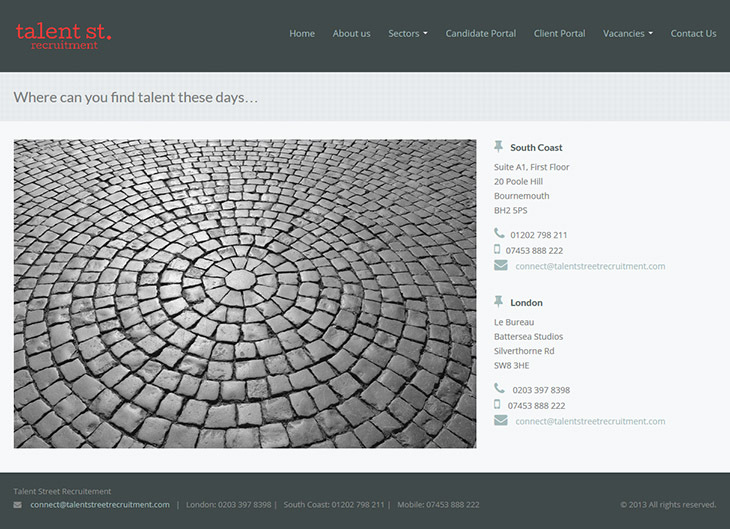 With offices in London and on the South Coast they work with some of the most exciting companies in the UK. 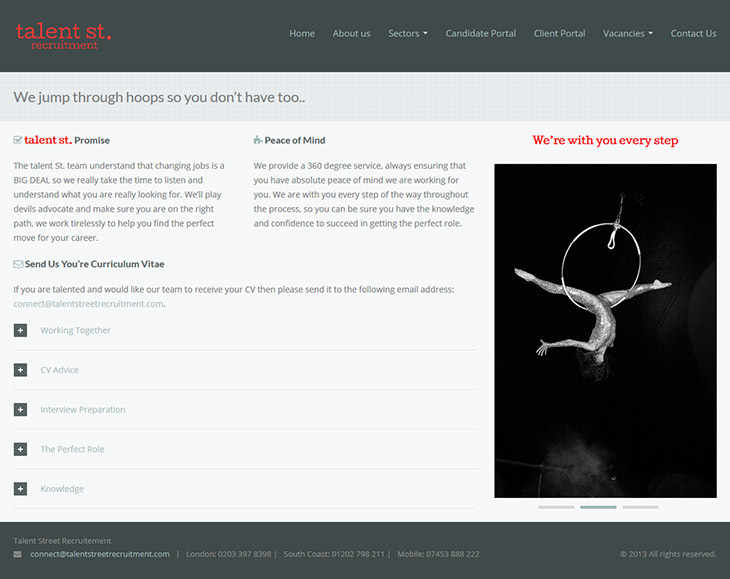 We were asked by TSR to provide a responsive website design that was modern and clean WordPress theme design. We provided several mock-ups before they signed off and they were delighted with the results. The website was built using Font Awesome 3, Bootstrap, Contact Form 7, Isotope and WordPress.